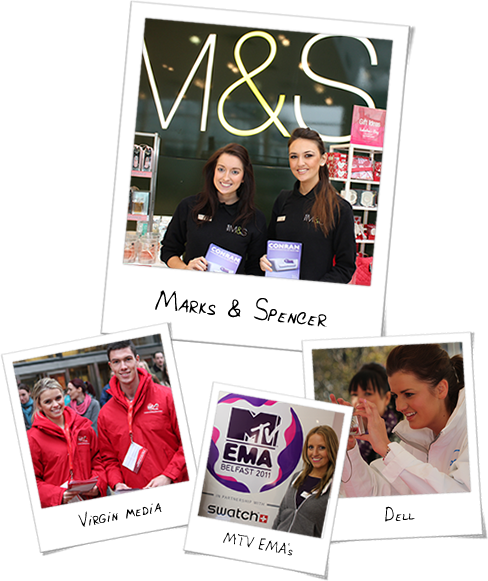 The Right Promotional and Events Staff - The Right Promotional Staffing Agency! We are a team of marketing professionals who live and breathe promotional staffing and events. We have worked on thousands of successful promotional events representing major brands and companies and have that all important hands on experience. We are dab hands in promotional staffing, logistics, and event implementation and we always go the extra mile to make all our promotional events memorable for all the right reasons. You will find our approach refreshing. Our team will stand shoulder to shoulder throughout your campaign providing you total support. We are big on communication and you can reach us anytime of the day 24/7. Every single member of our team are fun vibrant characters that can relate to anyone. Together we have one simple ambition and that is to be the best we can be for Astute, for our Staff, for our Brands and Consumers. Meeting our clients needs in everything we do. Provide the highest quality of service. Strive to be competitive, and in doing so, our clients must have an opportunity to make a fair profit. Responsible to our staff to ensure they are treated as individuals and that they are supported every step of the way. Enjoy what we do and show it in the way we do things. 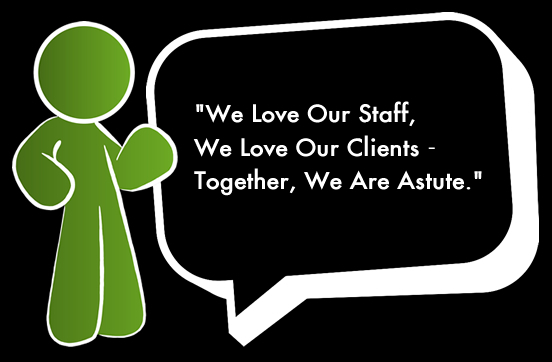 We invest in our staff, our clients invest in us... together we are Astute.